The TIDDOX® MicroMAX microfibre wipes are non-abrasive, absorbent and easily attract and remove all kinds of dirt, dust and bacteria from surfaces. The soft, lint free texture will not damage or scratch surfaces, so particularly suited to glass, windows and polishing. We also have a range of other microfibre wipes including lens cloths, thick pile general purpose cloths and well as premium speciality cloths. This material can be washed and reused several times, making it a very economical option. TIDDOX's microfibre cloths include the MicroMAX microfibre wipes, lens cloths, and a range of general purpose and premium fabrics of varying size and weight, available in all sorts of colours. This particular fabric is known for its ability to pick up dirt and dust particles easily and the absorbency of the fabric. This material is made from a mix of polyester and polyamide, and the higher the polyamide, the higher the absorbency of the fabric. Microfibre wipes are very low linting and so are well suited to applications involving cleaning glass, windows and mirrors, as well as polishing surfaces, as they will not release unwanted residue lint, or "fluff" after use. The weave of the microfibre cloths assists in picking up dust particles, so they are often used in cleaning kitchen and bathrooms, and to wipe down surfaces, appliances and furniture. Typically used in conjunction with a cleaning spray or water. TIDDOX offers an assortment different products in this category, of varying colour choices, to meet the different wiping requirements, a few of which are outlined below. Starting off with the GENERAL PURPOSE MICROFIBRE CLOTHS . These all-purpose absorbing textiles are very soft and are made from a thick, non-scratch material allowing them to retain more dust and have a higher absorbency. They are best suited to general purpose cleaning tasks, from drying plates, to soaking up mess and spills off bar and table counters, to cleaning kitchen surfaces for food preparation, to wiping down washrooms! Given the variety of applications this product is typically used for in a single workplace, one can easily appreciate why colour coding is a good idea to prevent germ spread and unhygienic misuse between incompatible tasks for the same cloth. Because there is a variety of different coloured fabrics offered to assist in colour coding, makes these products popular with commercial cleaners, and in child care and aged care environments, where colour coding products to specific purposes or areas is a widely accepted practice. PREMIUM MICROFIBRE CLOTHS are premium quality products that have a smoother texture. Being non-abrasive and non-scratch, and more suited to leaving a streak-free finish, they are used more in the cleaning and polishing of glass, mirrors and windows. These microfibre wipes give a lint free finish, and can be washed and reused, either wet or dry, with or without chemicals. 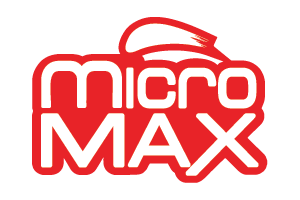 For more delicate tasks, such as cleaning and polishing computer screens, television screens, windscreens, glass, ipads and iphones, we recommend the MICROMAX . This smooth, fine textured product, is available in a baby blue colour, in portable packs of 10 microfibre wipes, that can be stored conveniently around the workplace or in cars. An alternative option to the MICROMAX , are the TIDDOX LINT FREE LENS CLOTHS , specifically designed for sensitive applications, and available in a 15cm x 15cm hand size, as well as cut to larger 40cm x 40cm super sizes. These are the wipers used to clean spectacle lenses, but they also have much broader applications from polishing diamonds, bar glasses, aircraft and automobile windscreens, to name but a few. Above is a brief overview of the varying products TIDDOX offers in this category, but please feel free to call us on 1300 84 33 69 to discuss your specific wiping requirement and one of our staff will be happy to assist you with further product information.